Let’s face it- nobody sticks with things that they don’t like to do. No matter how badly we want to get in shape or lose weight, or feel healthier physically, unless we find joy in what you are doing, we aren’t going to stick with it. When you sign up for a personal training session at Pyramid Fusion, prepare for an experience unlike any Personal Training session anywhere! Lora will personally work with you to figure out exactly what lights your fitness fire. She wants your workout to be the most fun part of your day, the thing you look forward to-playtime for grown-ups! 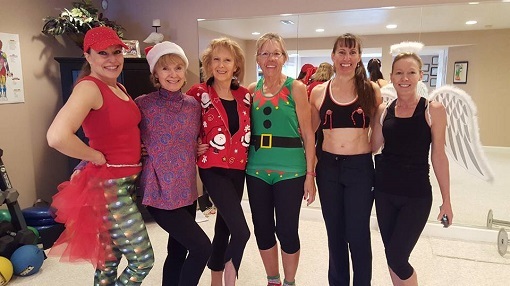 Not only does she focus on the physical aspects of a balanced, fun way to workout physically, but she also works with clients on accepting, enjoying and honoring their physical body. – What is personal training? Personal training means something different to each person. We all have different bodies, different life experiences and different goals. For some, personal training is about basic functionality and for others it’s about elite fitness. Personal training is simply working one-on-one with a trainer in order to develop a safe, effective, functional and fun fitness routine that meets our own individualized needs. – What are the benefits of personal training? Personal training helps us reach our goals more quickly and efficiently because it targets on our personalized deeds. It decreases the risk of injury because workouts are balanced instead of haphazard and it helps us stay on target, because we have a plan. – What does personal training cost? Personal training sessions are $50 per hour and typically last one hour. Payment must be made in advance or your appointment. If you are unable to attend your appointment, you must give 24 hours notice in order to receive a refund or to reschedule. If you are unable to give sufficient notice, no refund will be given.